We all understand the importance of tackling climate change and we also know that energy efficiency is a key solution. 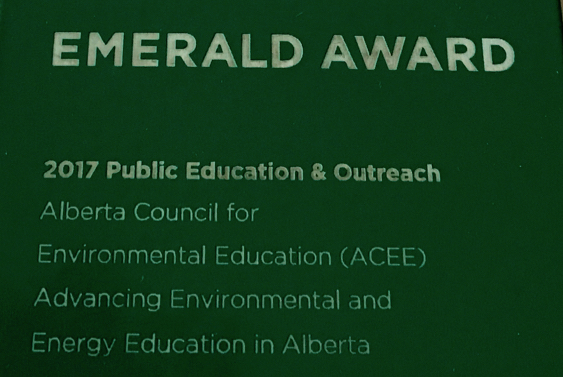 Many of us may work in environmental education and some in energy education but how do we connect these two areas? We have invited some of Alberta’s top energy educators to showcase their favourite and most impactful energy activities for you – so you can “learn by doing"! You'll hear from Barend Dronkers with Energy Efficiency Alberta and then roll up your sleeves, have fun, and add some powerful new activities to your tool kit. We'll then explore how we connect environment and energy education in our programs. Please join us for some Holiday cheer, post-workshop – we’ll serve up some light snacks, and your first drink is on us! Please RSVP by REGISTERING below. Hear from Barend Dronkers with Energy Efficiency Alberta on 'What we all need to know about energy efficiency in Alberta?" Celebrate the contributions of Jeff Reading to our community - Jeff helped found ACEE and served as Chair of the Board for over a decade. Enjoy some informal networking, sharing and learning with snacks and beverages - your first drink is on us! Please indicate what you will be attending. Do you have any dietary restrictions we need to know about? We often take photos at events to help tell the story of our work and we may share these on social media, our web site or in reports with funders. These are usually small group or actual group photos. Please let us know if you are OK with us using a photo that may include you. Helping you stay informed and connected is important to us and we'd like to send you our monthly newsletter. Yes I'd like to receive ACEE's monthly newsletter (we'll ensure you're not added twice if you already receive it).